Cheetahs are very fast-and very shy. When two young cubs come to the nursery at the San Diego Zoo, the staff hopes they will help visitors learn more about the plight of cheetahs in the wild. 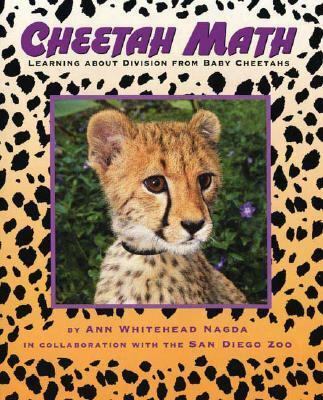 Majani and Kubali are shy, but with the help of their dog buddies they become perfect animal ambassadors.Kids can learn all about division from these baby cheetahs and their canine friends.A Junior Library Guild SelectionNagda, Ann Whitehead is the author of 'Cheetah Math Learning About Division from Baby Cheetahs', published 2007 under ISBN 9780805076455 and ISBN 080507645X.